Three Thesis Research 101 workshops will be held in Booth Library starting Feb. 19. The research workshops or seminars are hosted by Booth Library faculty and are being offered in cooperation with the Graduate Student Advisory Council. The first Thesis 101 seminar called “Researching the Literature” will be hosted by Steve Brantley and will take place from 6:30 p.m. to 7:30 p.m. Feb. 19 and again from 10:30 a.m. to 11:30 a.m. on Feb. 21 in Room 4450 of Booth Library. The second Thesis 101 seminar called “Citation Management Software” is hosted by Kristen Duffin and will be from 6:30 p.m. to 7:30 p.m. Feb. 26 and again from 10:30 a.m. to 11:30 a.m. Feb. 28 in Room 4450 of the library. The final workshop, called “Presenting your Thesis,” is hosted by Ellen Corrigan and will be offered from 6:30 p.m. to 7:30 p.m. March 5 and from 10:30 a.m. to 11:30 a.m. March 7 in Room 4440 of the library. 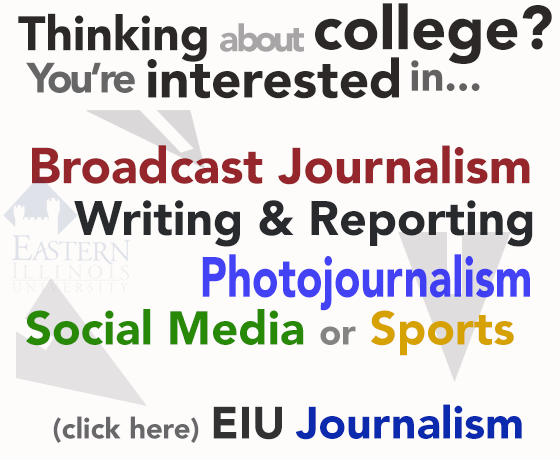 The seminars are free, but students will have to register at http://booth.eiu.edu/thesisreg.